Born in Deventer, The Netherlands, Bart Rispens received his veterinary degree from the University of Utrecht in 1956. After graduation he joined the scientific staff of the Central Veterinary Institute (CVI) in Rotterdam. While working at the CVI Bart completed a PhD degree in 1966 at the University of Utrecht. After receiving his degree, he and his family moved to East Lansing, Michigan where Bart spent a sabbatical year at the Regional Poultry Research Laboratory (now Avian Disease and Oncology Laboratory). Afterwards he returned to the CVI in Rotterdam. In 1972 he and his team moved to new facilities in Lelystad. The main focus of Bart’s research career was directed toward the development of practical approaches to prevent diseases in poultry and the development of techniques to eradicate avian leukosis virus (ALV). He is known worldwide for the development of the Marek’s disease vaccine strain CVI-988 (or “Rispen(s) vaccine”), which was isolated from hen 988 at the CVI. CVI-988 is still the “gold standard” for Marek’s disease vaccines. Much of this work was done in close collaboration with the veterinary pathologist Henk Maas. Earlier, his research on duck viral hepatitis had led to a practical method to protect ducklings against this devastating disease. During his sabbatical year in Michigan, Bart improved methods for the detection of ALV, which were successfully applied toward its eradication in Dutch breeding stock. 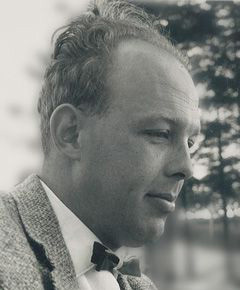 Bart published approximately 20 papers during his research career. In 1971, the College of Veterinary Medicine in Utrecht awarded Bart the prestigious Schimmel-Viruly Award, which is presented every five years to a Dutch researcher who has contributed most to the enhancement of veterinary science. In 1974 Henk Maas, with support of the Dutch poultry industry, initiated the Dr Bart Rispens Fund to memorialize the legacy of Bart. The Dr Bart Rispens Award is awarded every two years by the WVPA to the first author of the best paper published in Avian Pathology during the preceding two years. He was survived by his widow Will, two children, Jan Albert and Babs, and 4 grandchildren. WVPA thanks Ton Schat and Goossen van den Bosch for compiling this profile.